To assist you to get around Coll, there are three detailed map displays: outside the main pier office; next to the public toilets/telephone box at the middle pier; and by the recycling compound beside the grocery shop. To see the best of Coll you are advised to bring an Ordnance Survey map or buy one in the village Post Office (OS Explorer map 372, Coll and Tiree, 1:25,000). There aren't any 'Free maps', the island is just too small to have the necessary resources. There is no taxi service but there is private hire - see here. Many of the locals will offer you a lift, even if you don’t stick your thumb out! There is no public transport on Coll so travelling around is more of an adventure. If you don’t have your own transport then you can walk or hire a bike. Cycling is popular as there are no huge hills and the experience can be very pleasant. Using a bicycle means you can take the circular route, making use of the sandy track that goes behind Hough Bay linking the RSPB Centre at Totronald to the Hebridean Centre. This track is closed to vehicles. For the more adventurous, a wonderful way to see the coast is a circular sea kayak trip. There are many little islands to explore off Coll and a wealth of wildlife to discover. How about going back to Oban on the ferry from Tiree after a short paddle between the islands? CalMac ferries will not charge extra to bring your kayak over to Coll. The roads on Coll are all single track with passing places, although there is one 10m (yes, 10m as in metre, not mile) stretch of dual-carriageway near the top of the island! Whilst driving is usually free of hassle, please remember that locals sometimes need to travel a bit faster than sightseeing speeds. Please use passing places to allow others to overtake. Should you see a car either behind you or coming towards you with flashing headlights travelling atypically fast – it is probably one of the volunteer fire-fighters, volunteer coastguards, the nurse or the doctor on a real emergency. Please get out of their way. Unlike the mainland, they do not have blue, yellow or green flashing beacons on their cars. Many islands, and islanders, have their own ideas about 'passing places' and how they should be used! The only/proper way is as detailed in the Highway Code (sections 132 & 133) which can be found here. 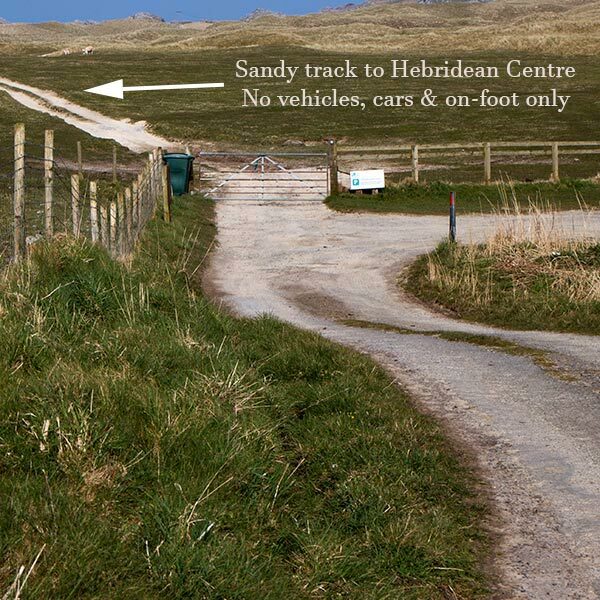 Most off-road tracks on Coll are on environmentally sensitive ground, probably private and should be avoided. There is a fuel station in Arinagour which sells petrol and diesel but has limited opening hours. It also stocks a basic range of engine oils and other car fluids. It takes credit/debit cards and cash (no cheques). The fuel station is run as a community social enterprise on a non profit basis and, even so, fuel is typically 20p – 50p dearer than the mainland; due to freight charges and the relatively small volume of purchases. Cycling on Coll can be quite the experience. The single track roads and lack of traffic makes it very safe. Consequently, many come to Coll with bicycles either as their sole means of transport, or bring them on their car or hire them here. Bicycles travel free on CalMac ferries but cannot be carried on Highland Airways flights to and from Coll. Collachs wish to promote this healthy activity – but please consider the following – our roads are proper roads and the rules of a highway still apply. Cyclists should stay on the left especially when meeting other traffic. When a group of cyclists stop for a car to pass it is much safer if ALL the cyclists go to the SAME side of the road. By doing so the car/van/lorry can go off the tarmac a little and give YOU more room. The emergency services here do not have special vehicles or flashing lights. Please give way to anyone driving abnormally quickly with headlights flashing. They may be in the fire or coastguard service, the doctor or nurse. Please get out of their way on the correct side of the road so they may pass quickly and without danger. Please contact the Cyclists’ Touring Club for more advice.